At a time when Assam sprinter Hima Das is creating waves on the tracks of Asian Games 2018 in Jakarta of Indonesia, three young and aspiring karate players from Biswanath district of Assam are silently preparing themselves to represent the country and bring glory to the State at international level. 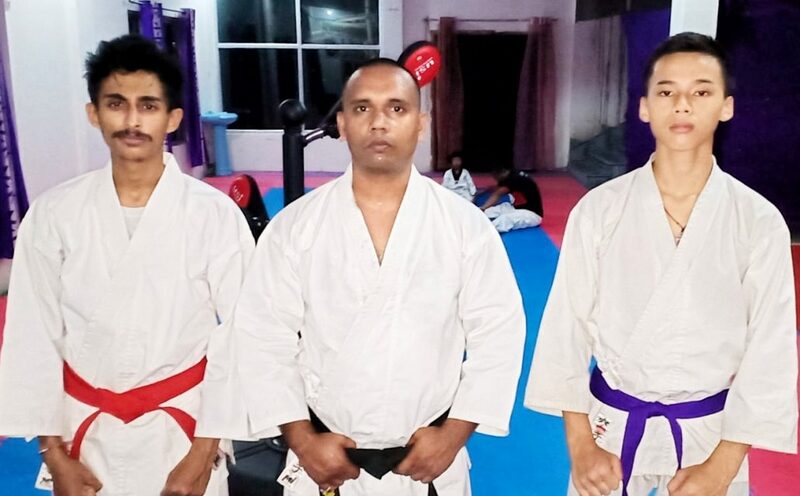 Notably, coach of Champions Maker Academy of Biswanath, Hriyananda Das, who had shot to fame at national level within a very short period of time and two youngsters trained under him, Sonam Lama and Milan Bordoloi will be representing the country at the international karate tournament to be held at Malaysia on September 1 and 2 next. The three karate players are leaving for Malaysia on Thursday and at the time of their departure, the trio has sought the blessings and good wishes from all the people of the State. Residents of Biswanath are hopeful that these aspiring sports persons will bring laurels to the State and the district by their performance in the international karate tournament.